Taxotere | McNamara Goldsmith, P.C. Hair loss is supposed to be a temporary side-effect of undergoing chemotherapy. For many patients treated with the chemotherapy drug, Taxotere, hair loss is a disfiguring life-long feature of their lives. 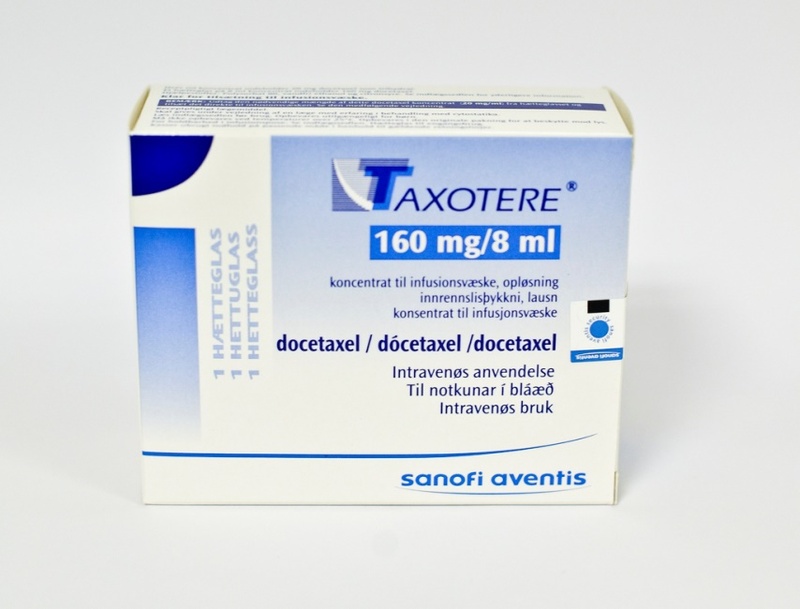 Taxotere, also known by its generic name Docetaxel, is an anti-cancer chemotherapy drug. It is prescribed for the treatment of breast cancer, non-small cell lung cancer, advanced stomach cancer, head and neck cancer, and metastatic prostate cancer. It is administered intravenously, often in combination with other chemotherapy drugs. However, Taxotere is also associated with a range of devastating side effects – most notably, permanent alopecia (hair loss). The legal case behind the Taxotere scandal hinges on its manufacturer’s failure to properly inform U.S. patients and physicians about the drug’s potential to induce permanent hair loss. Even more shockingly, the manufacturer, Sanofi-Aventis, was already aware of the drug’s link to permanent alopecia, and had even disclosed these warnings to the European market. So why did Sanofi-Aventis deliberately hide this information from the U.S. FDA? The answer is simple: market share. In an effort to compete with the established and more efficacious drug Taxol, Sanofi-Aventis developed its own synthetic version that was twice as strong. However, they failed to mention that unlike Taxol, which may cause, at worst, temporary hair loss, Taxotere has the potential to induce permanent alopecia. What’s more, Taxotere has not even been proven to be more effective at treating cancer. In short, the makers of Taxotere deliberately betrayed the trust of American cancer patients – many of them women – by failing to list this serious potential side effect. Now, survivors are angry that they were not given the opportunity to make an informed choice. Had they known the truth about Taxotere, many would have chosen a different drug and would not have suffered the devastating long-term impact on both their physical and psychological health. Recalls and Settlements: Why Should I Act Now? As the Taxotere investigation is still at an early stage, no recalls have yet been ordered. However, as of December 2015, the FDA has required Taxotere to include a warning on its label regarding the potential side effect of permanent alopecia. Due to Arizona’s statutes of limitations, we recommend that people who have been injured by Taxotere act as quickly as possible in order to avoid losing their rights to a settlement. McNamara Goldsmith has years of experience settling complex defective drug claims and is looking forward to personally representing your case. Permanent scalp alopecia related to breast cancer chemotherapy by sequential fluorouracil/epirubicin/cyclophosphamide (FEC) and docetaxel: a prospective study of 20 patients. Read here. Long Term Hair Loss in Patients with Early Breast Cancer Receiving Docetaxel Chemotherapy. Read here. Permanent alopecia after systemic chemotherapy: a clinicopathological study of 10 cases. Read here. "I'd rather have lost my breasts than my hair"- Woman devastated after cancer treatment left her bald. Read more at The Mirror. I survived cancer - but drugs left me with permanent alopecia. Read more at The Telegraph. "I beat breast cancer, but I'll never beat baldness", says one devastated woman. Read more at The Daily Mail. Women who took chemo drug say they weren’t warned of permanent hair loss. Read more at The Globe and Mail. Chemo Drug Causes Unnecessary Suffering for Women Who Survive Cancer. Read more at US Recall News.